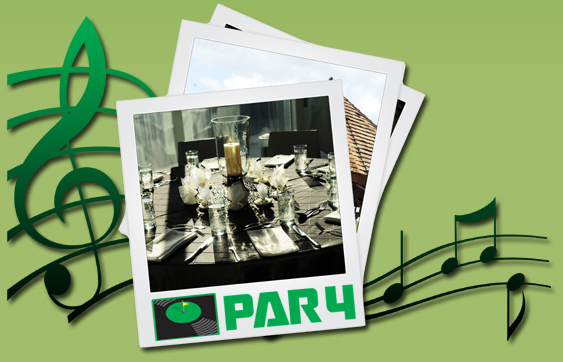 We founded Par 4 DJ Services for the purpose of providing quality party music and customer service at a price that is affordable for all. With a combined 45+ years experience in DJ'n parties, we will provide Nanaimo and the rest of Vancouver Island with all the services to make your party a hit. With a reputation that speaks for, itself we will cater to any and all the needs of you and your guests. Experience pays!! As Par 4 DJ Services, we offer a wide variety of services that are necessary to make your Nanaimo event one to remember. We use top of the line equipment and lighting, such as; Mackie, Peavey, American Audio, Chauvet and more, to give you the quality you deserve. The ability to cater to any size party, whether it's a Christmas party for 30 people or a Wedding of hundreds, we have got you covered. All of our music is licensed by the AVLA (Audio Visual Licensing Agency) and we are proud to be members of the CDJA (Canadian Disc Jockey Association).